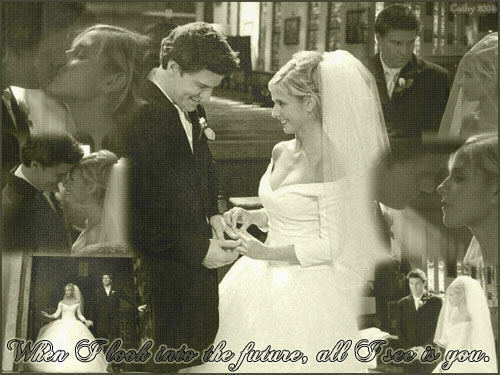 Buffy and Angel. . Wallpaper and background images in the Bangel club tagged: bangel buffy and angel buffy angel icon season 3 screencap episode. This Bangel photo might contain business suit, bridesmaid, and maid of honor.